It’s been 8 years since the original pressing of Behind the Beat: Hip Hop Home Studio by author Rafael (Raph) Rashid. Now the visually stunning hardcover book is back in print. The revealing photographs found within the pages of Behind the Beat expose the creative spaces of top DJs and music producers from the UK and US. 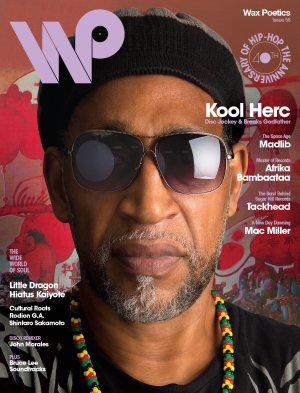 This book is an open invitation to step into the private world of the hip hop home studio and discover the settings in which some of your favorite hip hop classics were created. 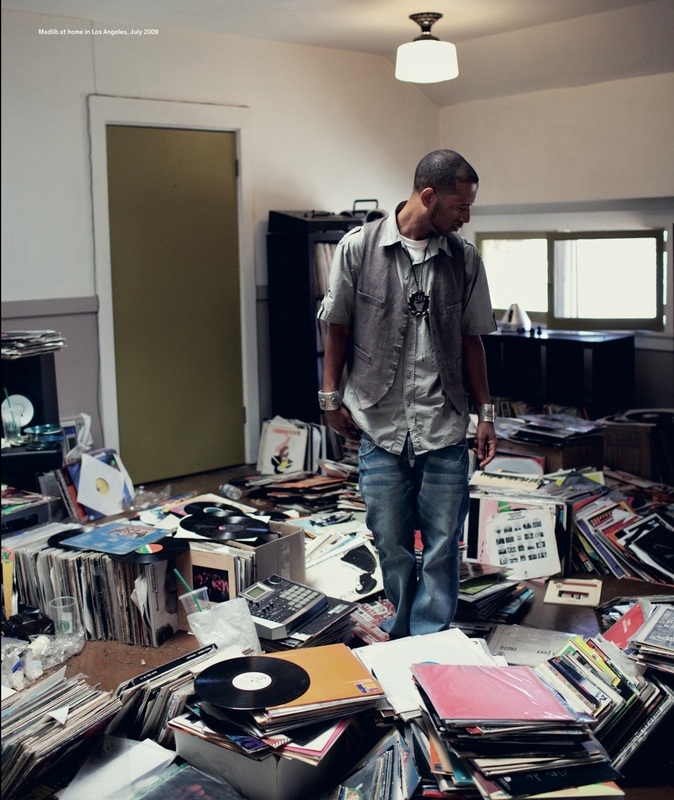 Behind The Beat: Hip Hop Home Studio features the studios, homes, crates, equipment, shelves and work spaces of some of your favorite DJs and producers. 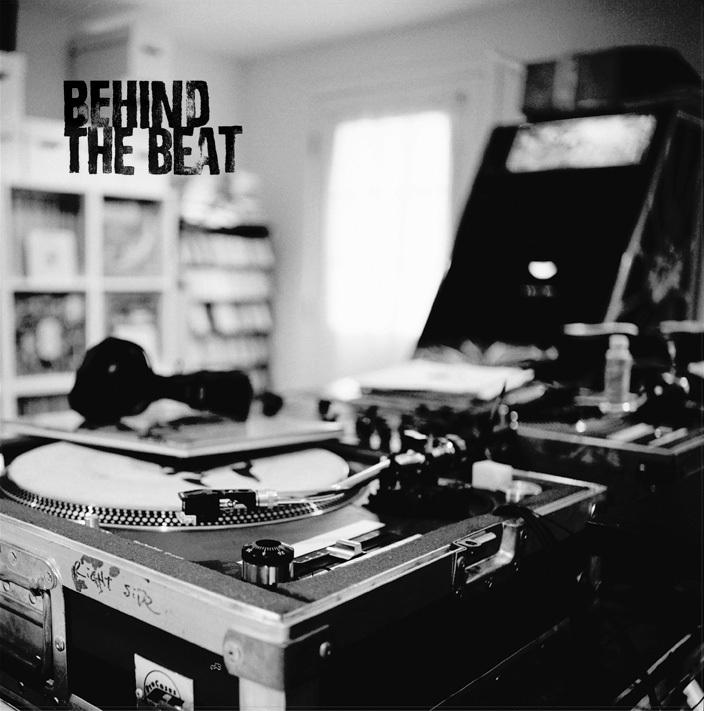 Behind The Beat gives you an exclusive look inside the creative work spaces of DJ Premier, the late great J DILLA, DJ Spinna, Skitz, Nextmen, Taskforce, DJ Swamp, DJ Cheapshot, E-Swift, Beyond There, Kut Masta Kurt, Fat Jack, Herbaliser, Runaways, Jehst, Beatminerz, DJ Shadow, DJ Design, Dan the Automator, Chief Xcel, Braintax, Young Einstein, Numark, Cut Chemist, Thes One, J zone and Mario Caldato Jr.
OUR VINYL WEIGHS A TON (THIS IS STONES THROW RECORDS) is a feature-length documentary about avant-garde Los Angeles-based record label Stones Throw Records, its culture and its enigmatic artists. 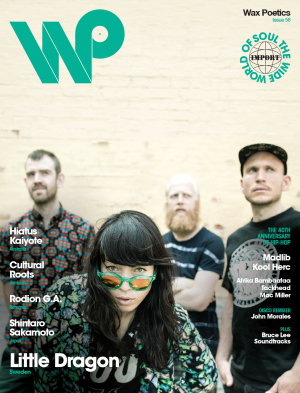 Under the direction of founder and world-renowned DJ Peanut Butter Wolf, Stones Throw has consistently released critically acclaimed, left-of-center albums since its founding in 1996. 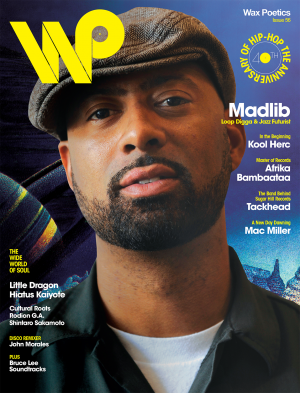 Catalog highlights include hip-hop classics like Madvillain’s Madvillainy, Dilla’s Donutsand Quasimoto’s The Unseen. 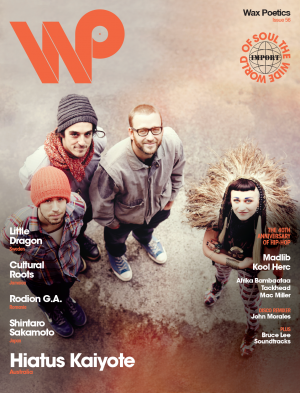 They also include retro-soul hits such as Mayer Hawthorne’s A Strange Arrangement and Aloe Blacc’s Good Things, Dam-Funk’s boogie-funk masterpiece Toeachizown, and the oddball works of James Pants and Gary Wilson. 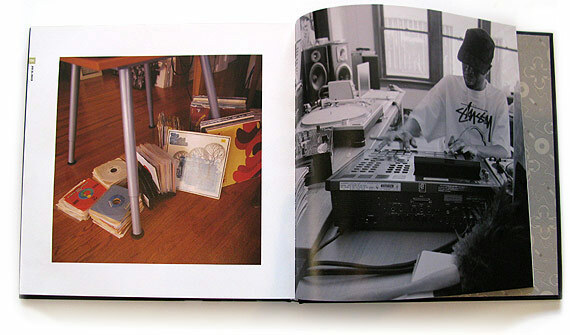 Drawing on live concert footage, never-before-seen archival material, inner-circle home video and photographs and in-depth interviews with the folks who put Stones Throw on the map, OUR VINYL WEIGHS A TON will delve deeper into the label’s enigmatic artists, history, culture and global following. 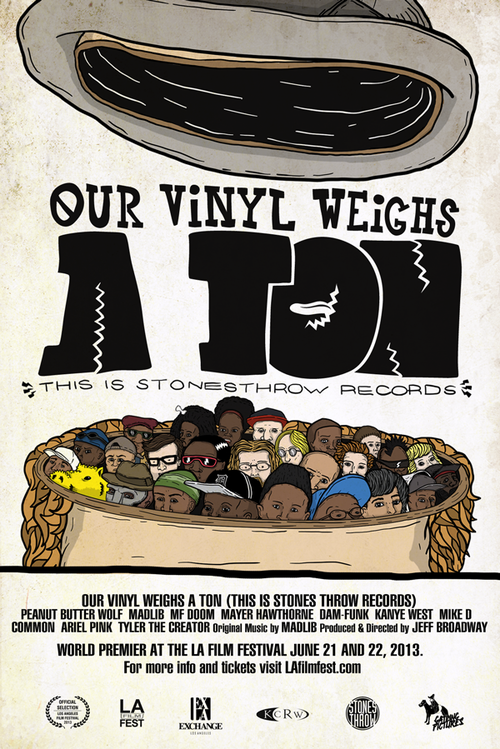 Our Vinyl Weighs a Ton (This is Stones Throw Records) premieres at the LA Film Festival, June 21 & 22. 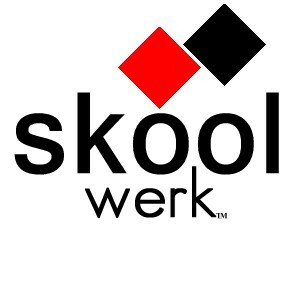 Info & tickets at lafilmfest.com. 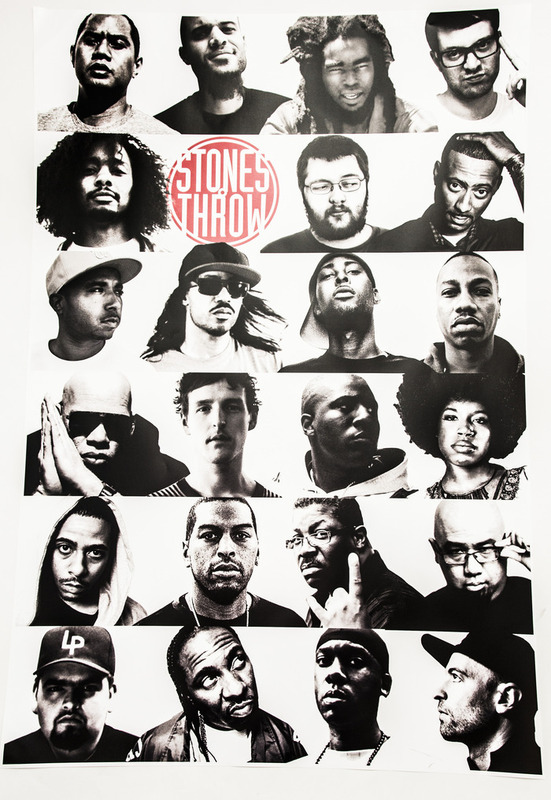 Be sure to visit Stones Throw Records to check for screenings in a city near you!